Okay, I’m sort of anti-trend, but my pro-sweets feelings are much stronger and thus cancel out my maltrend feelings. 1.) 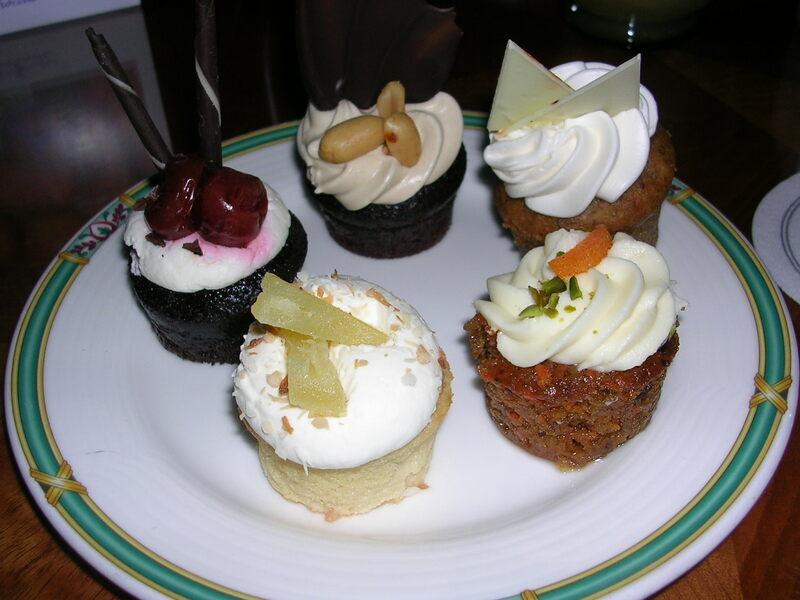 Cupcakes provide a socially acceptable way to serve and eat cake without any utensils or dishes. Anytime, anywhere you can eat clean food, it is reasonable to eat a cupcake. 2.) The plate of five (mini) cupcakes in the photo above was my third-ish trip to the table at a cupcake buffet I attended a couple of years back. My third trip was not my last trip. However, do to their small size, I didn’t look like a total pig. Cupcakes mask gluttony. 3.) It is increasingly becoming the norm to top cupcakes with a glop of frosting the size of a kitten. This more than compensates for the lack of corner pieces. 4.) Unlike other treats, they don’t melt. If your cupcake is my favorite of white cake and white frosting, it’s barely messy at all. 5.) They come in many delicious flavors and with/without filling. I quite possibly had a field trip to a local cupcake joint this evening.